The year will soon come to a close — but first you need to make it on the other end of the holiday season unscathed. You can eschew some of the more traditional adult responsibilities (no one blames you for doing all your gift shopping online, or buying store-bought cookies for Santa) and curl up with Netflix, which — let’s be real — has been there for you all year, unlike that bearded fly-by-night guy in the red suit. 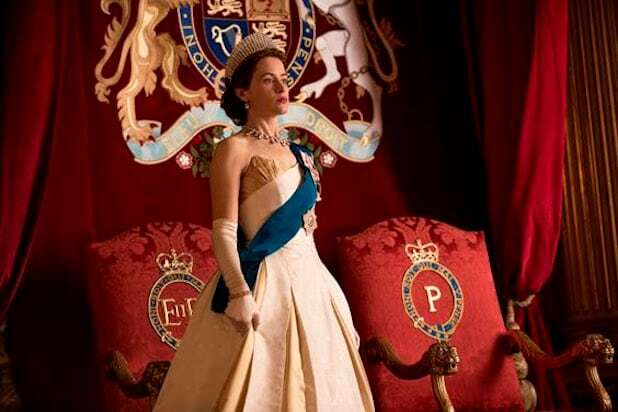 Season 2 of the award-winning series “The Crown” is finally back on Dec. 8, and the nostalgia-play “Fuller House” is back with Season 3 on Dec. 22, just in time to binge watch with your parents’ way-too-full house because no one wanted to stay at a hotel. Other Netflix staples are also returning next month, like “Peaky Blinders” Season 4 on Dec. 21 and the second season of “Billy Nye Saves the World” on Dec. 29. Don’t worry, we’ve got your Christmas movie fix covered, too, with all three of “The Santa Clause” movies arriving on Dec. 12. See below for everything coming and going next month. With November comes the season of eating--we're looking at you, turkey, holiday cookies, eggnog and pumpkin pie--and when you're in your sweatpants in a food coma, it can be hard to make a decision on what to watch next. So we've made it easy for you by highlighting the best of next month's fresh titles on Netflix, and what you need to watch before it's gone. For the full list, head over here. This 2013 film about Jackie Robinson (played by Chadwick Boseman) follows his life from Montreal Royal to Brooklyn Dodger and being the first African American to play Major League Baseball. It's the perfect movie to watch this World Series season. Coming November 3: "Alias Grace"
Based on Margaret Atwood's novel of the same name, this miniseries follows the story of Irish immigrant Grace Marks, who was convicted of murder in 1843. Coming November 17: "Marvel's The Punisher"
Frank Castle (John Bernthal) is back and wants one thing: revenge. You'll recognize this street fighter from "Daredevil" Season 2. It's the final season of the beloved crime thriller focusing on a Wyoming sheriff trying to rebuild his life after his wife's death. This film takes a look at two families living in the Mississippi Delta after WW II. It's based on the novel of the same name by Hillary Jordan. Netflix’s new seven-part limited series, starring Jack O’Connell, Michelle Dockery and Jeff Daniels, follows outlaw Frank Griffin as he hunts down Roy Goode, his partner-turned-enemy in the 1880s American West. The chase winds them up in La Belle, New Mexico, a town made up entirely of women. Leaving November 1: "The Matrix"
You shouldn't need to decide between a red pill or blue pill to know that you must watch this classic before the month's out. It's your last chance to choose: Team Jacob or Team Edward as the sun sets on the teen vampire drama on Netflix. Leaving November 1: "V for Vendetta"
One of Natalie Portman's most popular roles is as anarchist V's protege. This movie has inspired several other movies and TV shows, but it's leaving Netflix soon. Please just promise us that instead of getting as depressed as Ted Mosby after the Slutty Pumpkin doesn't show up, you just binge as much HIMYM as you can before it leaves the streaming service.